While flying cars sound like something rushed from a science fiction movie, according to a new study, they can help counter climate change if they are deployed. Companies race to produce electric flying cars. Boeing Co. With several companies such as Airbus SE and NASA in racing to make electric cars flying. This technology seems to have five years of introduction and ten years to implement. The University of Michigan and Ford Motor Co. According to a study conducted by them, they will emit much less greenhouse gas emissions when compared to ordinary vehicles. The study, published in the academic journal Nature Communications on Tuesday, shows that electric flying cars will be a much more convenient option when over long distances and passenger capacity is full. 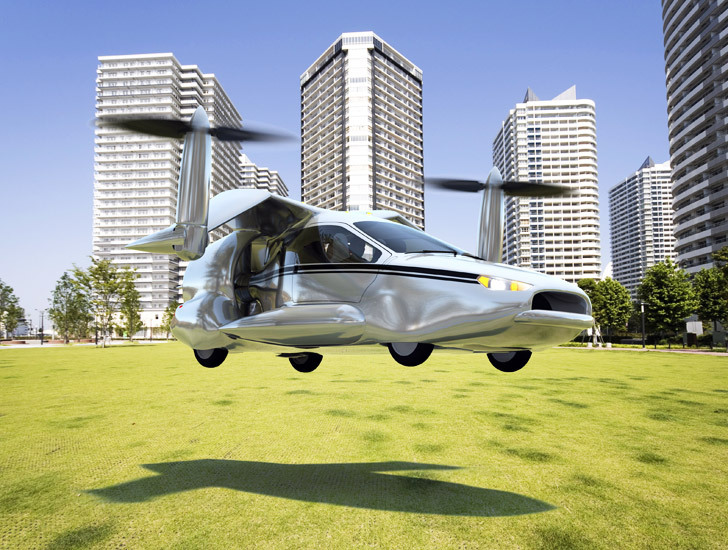 The design of electric flying cars varies greatly from company to company. However, they are generally similar to a mix of an airplane with two or more electric propellers. Some of these can reach a speed of 240 km / h.
Using public data from companies, researchers compared the energy consumption and gas emissions of ordinary cars and electric flying cars. As a result, they found that electric flying cars carrying a driver for over 100 kilometers produced 35% fewer greenhouse gases than ordinary vehicles. Electric flying cars gave even better results when carrying a driver and three passengers at the same distance. In this scenario, 52% less greenhouse gas emissions than ordinary cars were learned. However, electric flying cars gave bad results compared to electric cars. In the study, 38% more gas emissions when driving a driver compared to electric vehicles and only 6% less gas when driving a driver and three passengers were observed. The researchers found that in terms of efficiency, electric flying cars spend a considerable amount of energy on take-off and landing, but they are quite efficient over long distances. So these tools seem to be used for long distances in the first place.